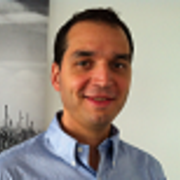 Do you want to use your notes in online meetings? 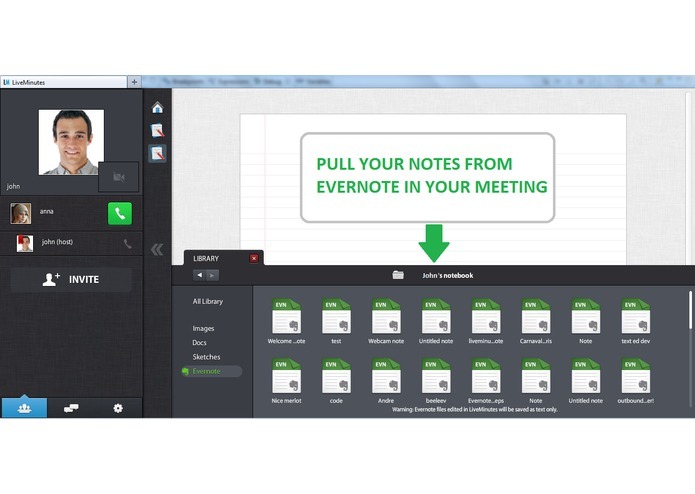 or take notes collaboratively and save them in your Evernote account? 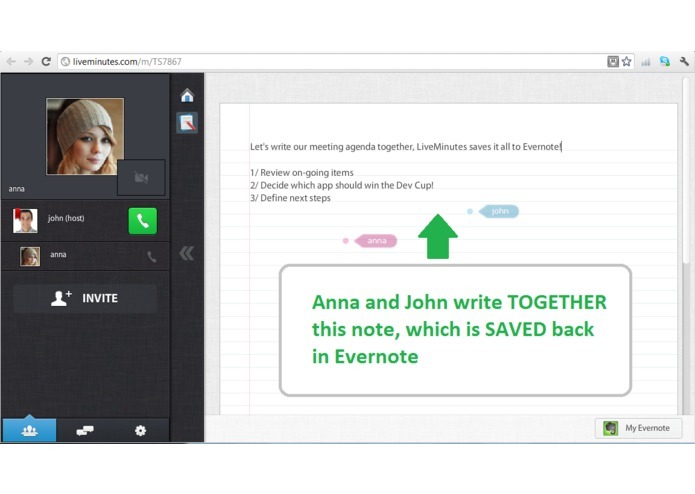 LiveMinutes lets you videochat, annotate documents, draw sketches, and collaboratively edit your notes in real time and then save everything back to your Evernote account. 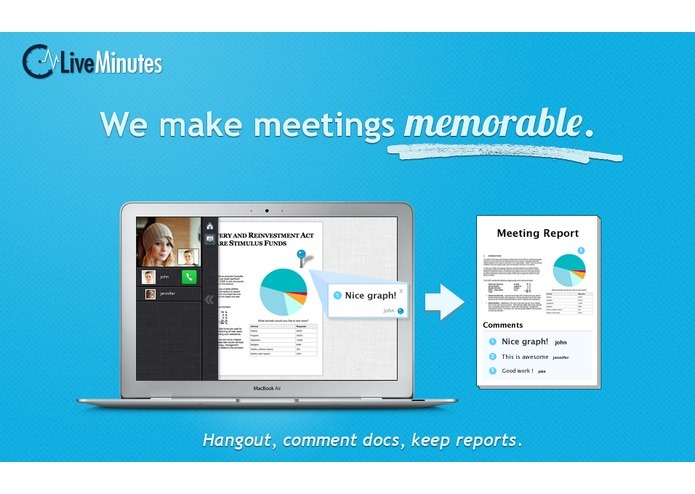 Save all of your meeting interactions - from whiteboard doodles to powerpoint annotations. 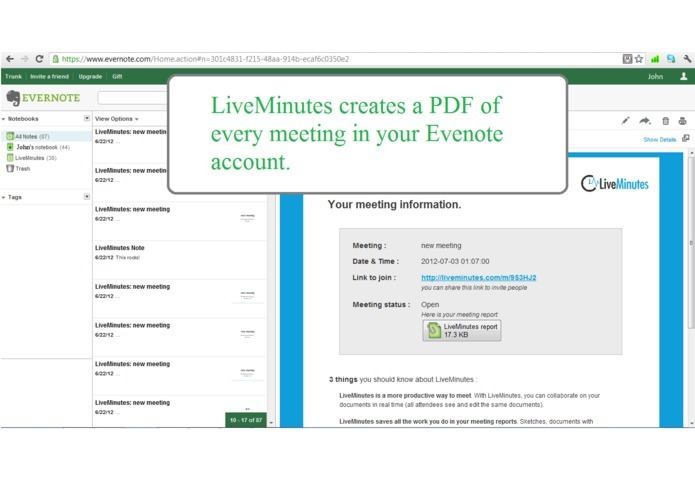 Make your meetings memorable with LiveMinutes, and use Evernote to remember all of them!